Ordinary Member: Open to all companies that work in the events industry, as well as individuals. Ordinary members must pay a membership fee (R2500 for companies and R1250 for individuals), and will have full voting rights. Associate Member: Limited to organisations that can add value to the EGF through reciprocal membership. Associate members are not required to pay an annual membership fee as they provide an important service to the EGF through marketing and support. This category includes the EGF’s Founding Members and other associations. Educational Member: This category includes formal educational institutions that provide training on topics linked to event greening, such as event co-ordination and the hospitality industry, as well as students studying these subjects. Educational institutions do not pay membership fees and have no voting rights. Students pay a reduced fee of R500, and have no voting rights. Non-Profit Member: Open to registered non-profit and non-governmental organisations operating in fields relevant to event greening. These members, once approved, will not pay fees, and will have no voting rights. Knowledge: Access to the latest information around event greening in South Africa. Value: Receive discounted prices for EGF courses and events, such as the EGF annual Conference and Master Class (to be held on 13-14 June 2018). Marketing: The use of the EGF logo for marketing purposes, as well as a member listing on the EGF’s website (eventgreening.co.za), and a complimentary Gold Package listing on our Event Greening Supplier Database (www.greendatabase.co.za). Preferred Service Provider: Our members are recommended to those seeking green products and services. Networking: The opportunity to network and collaborate with like-minded people and companies. Membership discounts are also available for those who are already a member of one of the Event Greening Forum’s Founding Member associations, namely: EXSA, Fedhasa, IFEA Africa, the MICE Academy, SAACI, SA Roadies, SATSA, and TPSA powered by SAICA. 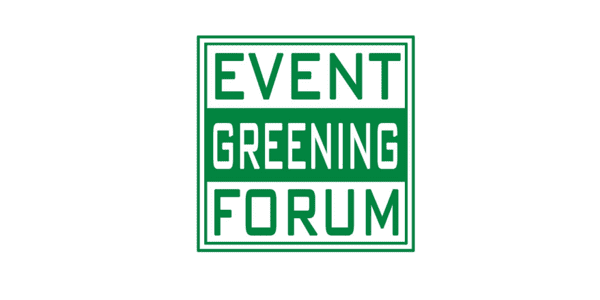 Please contact Lynn McLeod on 082 891 5883 or lynn@eventgreening.co.za for more information on becoming a member.